I have to admit that I have not yet been to Harbor Country, but this month-long event is pretty tempting! (New Buffalo, MI) ? Cozy up with chocolate in Harbor Country during February. Visitors and second home owners come to the eight Michigan communities in Harbor Country each year to enjoy sun, sand and countryside during the warmer months. Harbor Country is enticing them back during the winter with the lure of chocolate. 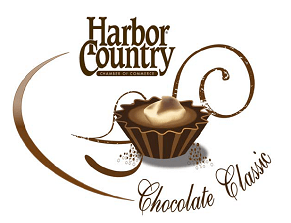 Harbor Country Chamber of Commerce members will be offering a variety of chocolate inducements at their establishments during the entire month of February with a new event: Harbor Country Chocolate Classic. Come enjoy the winter charms of Harbor Country during Chocolate Classic with chocolate-themed events, activities and leisurely shopping and dining. Make it a day trip, or stay over-night in Harbor Country’s wide range of accommodations offering something for everyone. The Harbor Country Chamber of Commerce website, www.harborcountry.org provides information about the area and its attraction including Harbor Country Chocolate Classic and all the activities that will take place during the month long event. Yummmm! This sounds like the perfect way to start a trip to Chicago!